We’re pretty serious about security. You may have heard this before. But we love site security so much we’ve just given you the opportunity to boost the power of your account security yourself! You can now restrict access to your account to specific IP addresses, at your leisure. 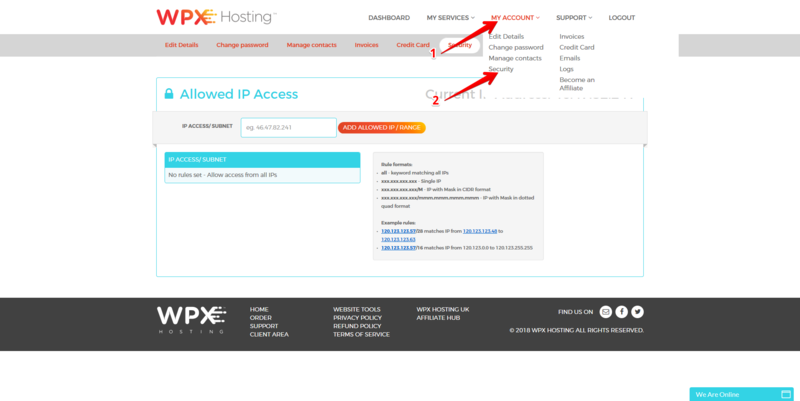 Your Current IP Address (1) is displayed at the top of the menu, if you are not aware of your public IP. Control IP Access (3) from this box with new rules; place IPs here to block access to your account. The Active Rules box (4) keeps track of all currently blocked IPs. Important: Before you restrict access to any IP address, be sure to check and confirm what kind of IP address you have; either static or dynamic. 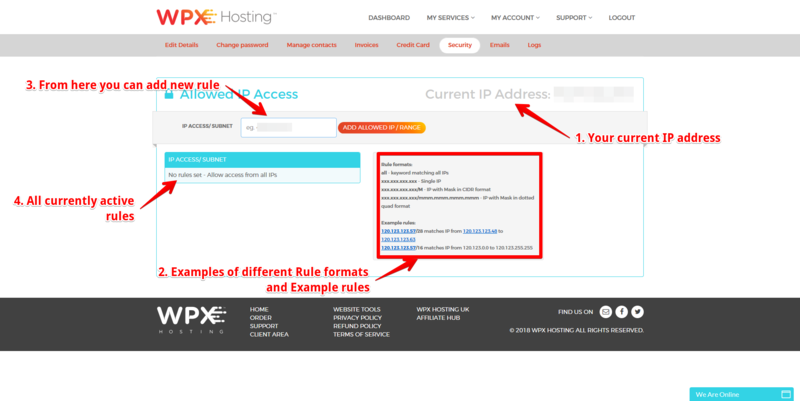 If you have a Dynamic IP Address, this means that your IP can change at any time. In this case, we recommend that you do not use the IP Access controls because you may block yourself from your account! If you are unsure what kind of IP address you have, or how to find out, please contact your Internet Service Provider for further information. If you do block yourself from your account and you are unable to log in anymore, please contact our Support Team on Live Chat or at support@wpxhosting.com and we will get that fixed asap! If you are interested, you can learn more tricks and information here.